Research shows that exercising while pregnant can help to facilitate an easier labor, healthier babies, and an overall more comfortable pregnancy – a thought process of which I am a big believer. Lucky for me two of my close friends and colleagues happen to be expert trainers in the field! Both experienced and inspirational trainers, each of them teaches classes and offer one-on-one sessions that are focused and specialized for pregnant mamas. And, lucky for you guys, they were willing to sit down to answer some of your most frequently asked questions on the subject of prenatal fitness. Everything from best exercises to focus on during pregnancy to sharing how pregnancy changes can impact your fitness routine, nothing was off limits for these two. Keep reading to learn some of their best tips, tricks, and top recommendations so that you can keep exercising safely and successfully throughout your entire pregnancy. First up, I reached out to my good friend Brooke Cates, founder and creator of The Bloom Method – a highly effective pre- and postnatal focused fitness method. 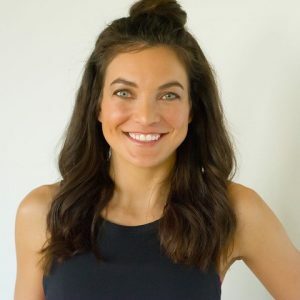 Brooke has spent years immersed in education surrounding pregnancy and exercise, modifications of movement during pregnancy, specific breathing techniques, and learning how a woman’s connection to her body during pregnancy can create endless benefits for both mom and baby. To learn more about Brooke and The Bloom Method, click here. Please describe the work that you do with pregnant mamas. The Bloom Method is revolutionizing pre & postnatal exercise through innovative core techniques, specific breathing exercises, and mindful workouts designed to keep women active and in their bodies throughout their pregnancy journey while preparing women for their birth marathon, preventing common pregnancy related injuries such as diastasis recti, pelvic floor incontinence and prolapse, as well as common discomforts like low back and pelvic pain. We’re making it easy for women to stay connected to their changing bodies while providing them with cutting edge tools that will continue to provide more efficient results no matter what they love to do for exercise or how they move through their day. What attracted you to working in the field of prenatal fitness? I’ve always had a desire to empower women and ultimately, my work chose me. 🙂 There is no doubt that I am doing exactly what I have been designed to do in this world. What do you think is the greatest benefit pregnant mamas can get from exercising during pregnancy? The trick is there isn’t just one great benefit! There are so many it’s tough to list all of them. 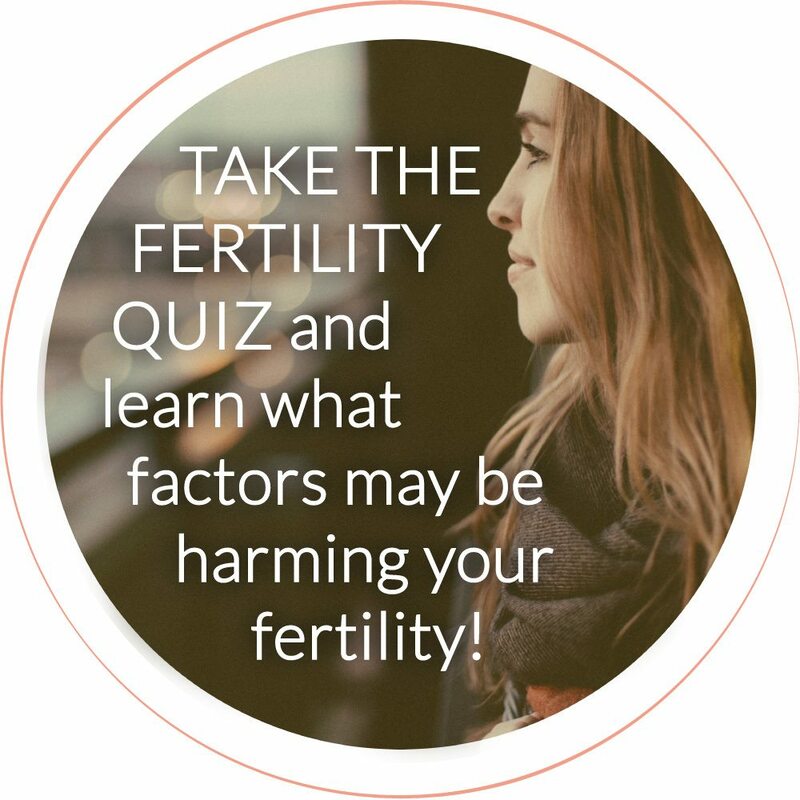 From health benefits for both mom & baby, to a deeper connection to their cores than they ever had pre-conception, to avoiding common pregnancy injuries, feeling strong in their bodies as early as a few days post birth, to more controlled & shorter pushing during birth. The list truly goes on and on. But the catch is HOW are they exercising during pregnancy? These benefits don’t just appear because women chose to move during pregnancy, but because they chose how to move correctly both in exercise and daily movements. Women can actually increase the chance of pregnancy injury through exercise, especially when not performing exercise correctly or continuing to do things that they shouldn’t. It’s about implementing the right techniques into their pregnancy journey so that the whole experience is more comfortable and the body is supported! What specific pregnancy changes might impact a woman’s exercise routine? The size of her belly (although through our techniques women typically carry smaller) will impact her exercise routine. The outward growth of the belly often creates tension on the back body (hence the lordosis) which can lead to lots of discomfort in the low back. This is one of the many reasons why it’s crucial that expecting women stay connected to their inner core unit through breath, effective core activation techniques, and using their core muscles correctly in daily movements. Expecting women also experience an increase in relaxin causing their ligaments to be more lax, which can increase the chance of injury if exercises aren’t done with great form and attention to detail. The Pelvic Floor always comes to mind with pregnancy changes, due to internal weight, as it has significantly more weight it has to carry for several months. This is one of the main reasons why expecting women must be aware of their Pelvic Floor in EVERY exercise they perform. We want to create balance in the Pelvic Floor muscles so that they aren’t too tight or too weak, which could cause serious problems during and post pregnancy. Performing jumping exercises, holding the core tight all day long, frontal planks, crunches, and even incorrectly coughing, laughing, and sneezing, can create issues in the Pelvic Floor! Several experts and OB Gyn’s are starting to claim that abdominal separation (diastasis recti) happens to everyone, but we’ve found that with the right awareness to the core unit and utilizing correct core activation every time the core fires, we can prevent this from occurring in over 70% of our clients. Changing what women “expect” to happen during pregnancy is crucial. Due to the growth of the baby and displacement of all organs to make room for the baby, an expecting women’s breath is usually tight and happening primarily in the chest. Shifting daily breathing to be via the diaphragm is life changing both during pregnancy and for the years post pregnancy. Getting women to breathe correctly is always the first step to understanding the way you should move and exercise during pregnancy. While each case is specific, are there specific types of exercise you typically suggest for women that are pregnant? It’s easier to talk about what pregnant women should avoid (listed below) because there are hundreds of things they should be incorporating! What types and amounts of exercise do you feel are safe for newly pregnant mothers? Does this change throughout pregnancy? If yes, how so? I try to keep women doing exactly what they love to do. While I have some strong opinions of specific exercise methods during pregnancy, if a client wants to continue doing what she was doing prior, I’d rather help her integrate tools to make the method safe versus telling her she must stop during pregnancy. Almost all workouts can be scaled into something that is safe and effective for expecting women. A pregnant women should be exercising 2-4 times a week if she was active before pregnancy, and can continue doing this all the way up to her due date. There is a study that shows that women who were continuously active during pregnancy lost a lot of the benefits if they stopped exercising as early as 2-3 weeks before giving birth. If a women is concerned with her heart rate during a workout, I like to use the talk test to monitor. If she can say a sentence or two while her heart rate is escalated, she’s in the safe zone. The heart rate changes so much throughout pregnancy that unless the client knew what her resting heart rate was prior to getting pregnant, it can be really hard to keep good track of a safe heart rate during a workout. As an example, during the first trimester the heart rate increases drastically. So if tracking the heart rate was something that we’re basing her level of work on, that specific client might be working under her ability due to the already increased heart rate. Are there any exercises that you do NOT recommend for pregnant mothers? Does this change as they move through their pregnancy? Jumping exercises, frontal planks, over use of side planks (because the obliques can become overactive), un-assisted pull ups, crunches, leg lifts, all PRONE exercises, kettlebell swings past the mid-second trimester, rowing, and some swimming strokes and any oblique crunching that creates too much lateral crunching in the obliques as this can increase the chance of separation. Typically women can continue doing what they’ve been doing with little to no modifications through the first trimester, and then specific modification can come into play depending on the size of the belly. My rule is that once the belly “pops” it’s time to start changing things up. If a pregnant mama hasn’t previously been exercising regularly, do you recommend that she starts once she’s pregnant? NO! However, I do recommend that she integrates our core + breathing techniques into her routine. Even though she shouldn’t pick up a new exercise routine, adding our core system to her pregnancy will help tremendously and still provide tons of the benefits we guarantee our clients. Is there anyone that should NOT exercise while pregnant? In my experience, some clients who have experienced things like placenta previa, for example, were still cleared to exercise when their doctor learned they were doing The Bloom Method. There is always a line – if the doctor believes that what the client is doing is safe, she can probably add it to her pregnancy. How quickly following delivery can a new mama start working out again? Are there specific exercises she needs to focus on or be sure to NOT do? Can you elaborate here? As early as one day post pregnancy, a new mom can begin to re-connect her muscles and help re-create the stability needed in the first few days post pregnancy. These gentle restorative exercises create a strong foundation postpartum. Postpartum core recovery should always begin with diaphragmatic breathing and before returning to regular core work, there should be several weeks to a few months of specific rehabilitative exercises that address the deep core’s foundation. Healing any separation and Pelvic Floor issues, as well as ensuring that the core unit is strong, will be incredibly important moving forward. I’m also a fan of utilizing the right postpartum binder during the first several weeks following pregnancy. Binders should always be used in combination with rehabilitative exercises and the client’s understanding that the binder is there to create awareness in how the core fires during movements and exercises, versus using it as a quick fix. It’s crucial that women rehab their deep core connection before returning to exercise that isn’t specific to the postpartum woman – this can make or break the way she heals. When women jump right back into exercise before re-establishing the core unit, they often times end up with bigger issues than what was present in the early post pregnancy days. Melissa Levy, founder of The REBEL Workout has been a great friend and colleague of mine for a long time! She began her career as a Pilates instructor. Twelve years in the fitness industry later, she’s since expanded her education and is known around the world for her expertise in fitness, alignment, and functional movement. Melissa encourages a balanced approach to fitness, wellness, and health, and with the team at The REBEL Workout, has built a unique space where people can connect, feel supported, and get inspired. While form and function are always top of mind, Melissa marches to the beat of a different drum, forever keeping her clients and cohorts on their toes. Merging tough love with unconditional devotion, she’s constantly learning, evolving, and encouraging her team to do the same. To learn more about Melissa and The REBEL Workout, click here. Our REBEL Prenatal program was created to provide safe and effective workouts for pregnant mamas. My main goals are to provide a learning space for women to connect more deeply with their changing bodies, to understand the importance of proper core engagement, and to teach simple breathing techniques to keep them strong and healthy throughout their entire pregnancy. I truly believe that women can continue to do all of their favorite workouts while pregnant. The key is learning the simple tools that help to keep the body safe while carrying. Aside from the physical benefits, there is something very special about providing a space for pregnant women to have a community, a tribe to grow with, lean on, and talk to! It happened naturally. A few years ago four of my clients all got pregnant at the same time and I thought that it would be fun and beneficial for them to train together. I love learning about the body and it gave me another opportunity to explore the physical changes that happen during pregnancy in more depth. Additionally, my background is in Pilates, which is very focused on the TVA (transverse abdominis, which I describe below) and pelvic core strength. Having this type of background has served as an amazing platform for the prenatal population. 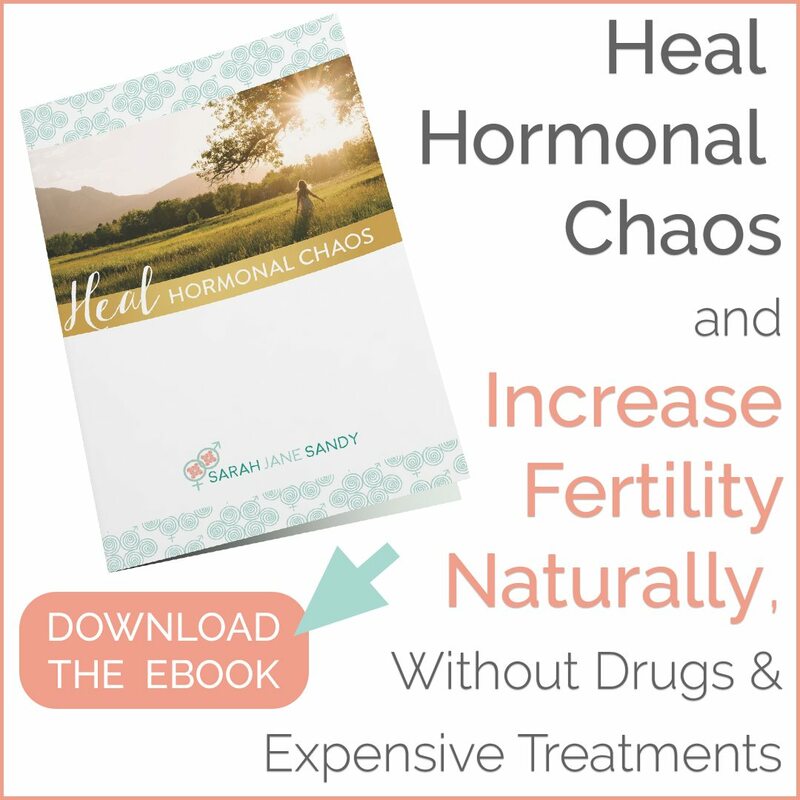 Easier pregnancy and birth, in addition to giving birth to happier, healthier babies! First and foremost, I would encourage women to learn how to properly engage their transverse abdominis muscle and to learn how to connect to their pelvic floor muscles. These two muscles can be a pregnant woman’s best friend. The transversus abdominis, or TVA, is your innermost abdominal muscle. It encircles your trunk like a corset. The action of this muscle is abdominal compression. It gives you back support, helps support the growing weight of the baby, helps you push during labor, helps you minimize/avoid the separation of the abdominals, and even assists women post-birth to help their core bounce back more quickly. To work directly with this muscle, I have a breath and core routine that I give all my mamas-to-be that focuses specifically on the TVA and the pelvic floor. Proper metabolic conditioning and cardio endurance are also important. Childbirth is often a very long, physically intense experience. Having the proper amount of endurance will be hugely beneficial. Lastly, something that often gets overlooked is postural strength. Breast feeding moms don’t realize how hard it is on the body, but having a strong upper body, back, shoulders, and core can help tremendously. I tell my mamas-to-be to take it easy in their first trimester. They should listen to their bodies. If they are tired, they should sleep. If they’re hungry, they should eat healthy foods. The body is communicating during this time and it often says, “Please take it easy!” Long walks, strength-based workouts, and backing off from major intensity is typically advised. Once a woman’s energy level returns to normal and the nausea goes away, they can go back to to the workouts they love with the proper modifications incorporated where necessary. While I encourage women to stick to doing the things that motivate them, I don’t typically recommend plyometric (jumping) movements. The increasing size and weight of the uterus, placenta, and fetus, in addition to the normal weight gain of pregnancy, adds downward pressure on the pelvic floor and can be too much for the pelvic organs to endure. Crunching and deep twisting movements are also not recommended after the first trimester. These movements can be a player in causing diastasis recti (spreading of the abdominal wall.) I typically start training my clients early on in their pregnancy on how to incorporate breath work, as well as TVA and pelvic floor engagement as soon as possible to get them away from crunching movements. Its unnecessary to do crunches anyway! I encourage women to use pregnancy as a time to learn more about their bodies as a whole. Look for physical feedback. New feelings, discomfort, and pain will be more obvious if something doesn’t feel quite right and it’s important not to ignore the message. I 100% think all pregnant mamas should have some sort of workout routine. I don’t recommend going crazy by any means, but moving your body is the best thing you can do for yourself and the baby. Start with walking and Pilates (find a studio that offers prenatal classes.) And consider working with a personal trainer that understands the prenatal body, which can be a great option for someone brand new to working out. This is a hard question to answer, as it’s very dependent on the type of delivery and the new challenges of having a newborn, in general. The truth is that this is a very challenging time for new moms. Lack of sleep, breast feeding schedules, and just the overall shock of a major life change can make working out feel like just another stress. Be patient and be realistic. If you push yourself too hard too soon you can set yourself back. Walking is the best way to ease back into movement. Once you feel ready to start incorporating heavier activities, pay attention to signs from your body. Some women find that their bleeding that had tapered down starts to get heavier again, which is a sign that the body needs more time to heal. Crunches can put too much pressure on the pelvic floor and inhibit healing or even lead to other problems. Restrengthening and re-familiarizing yourself with your TVA and pelvic floor muscles should be the main focus. Additionally, breast feeding can wreak havoc on a postnatal mom’s posture. Specific to this, I spend a ton of time with my postpartum clients teaching them gentle stretches to help open up their chest and shoulder girdle, while at the same time strengthening the upper back and postural muscles.